Amazon released ten free pilots on their Prime Instant Video for the U.S. and LOVEFiLM for the UK. According to Deadline, the free pilots will give viewers the chance to offer their feedback and Amazon will determine which pilots will go to series. There are a total of 10-episdoes including 5 primetime and 5 kid shows. Amazon has drama pilots including The After from Chris Carter (The X-Files), and Bosch from Eric Overmyer (The Wire) and Michael Connelly (Harry Bosch). The comedy pilots for Amazon include Mozart In The Jungle from Roman Coppala (Moonrise Kingdom), Jason Schwartzman (Saving Mr. Banks), Alex Timbers and Paul Weitz; Transparent from Jill Soloway (Six Feet Under), and Rebels from Ice Cube and Michael Strahan. Some of the pilots features stars such as Gael Garcia Bernal, Malcolm McDowel and Jeffrey Tambor. For the children’s pilots the selection ranges from pre-school shows and shows for kids ages 6-11. Last year Amazon released a group of pilots the following were picked up for series: Alpha House from Garry Trudeau, Betasand and soon to premiere kid series Creative Galaxy, Tumble Leaf and Annedroids. 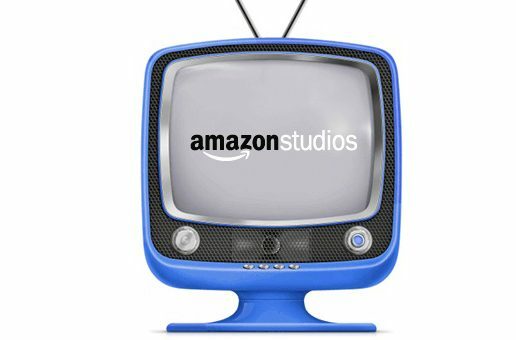 While Amazon releases this crop of pilots, they are already working on getting the next batch ready including three dramas and one comedy. They include drama Hand of God written by Ben Watkins, directed by Marc Forster and starring Ron Perlman; comedy Cosmopolitan from Whit Stillman (The Last Days Of Disco); drama Hysteria from Shaun Cassidy (Invasion); and newest pilot order Cocked. According to Deadline, Cocked is a dramedy from Samuel Baum, creator of Lie To Me. Baum wrote Cocked along with Sam Shaw (Manhattan creator). It focuses on an estranged son returning to work at his father’s fun manufacturing company with his brother when a rival company attempts to take them over. The pilot episodes from Amazon are available here.